Tarantulas is located in the Central Coast region of California. This gently sloping site consists of moderately uneven terrain, containing few cracks and folds. Tarantulas is dominated by a mixture of consolidated bedrock, cobble beach, and sandy beach, and the area surrounding the site is comprised of a mixture of consolidated bedrock, boulder fields, cobble beach, and sandy beach. The primary coastal orientation of this site is southwest. Biodiversity Surveys were done by University of California Santa Cruz in 2018. 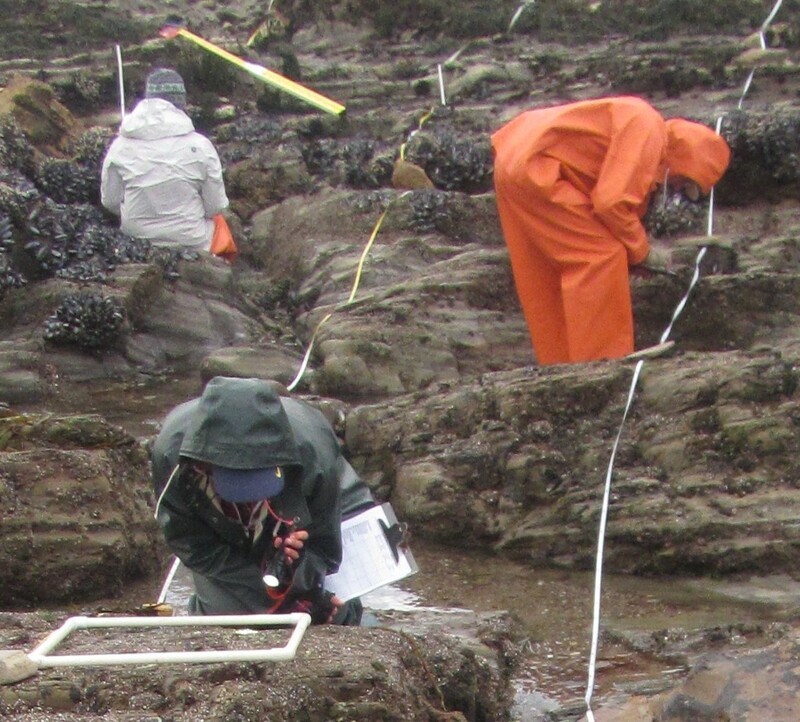 The Biodiversity Survey grid encompasses one section that is approximately 20 meters (along shore) x 25 meters (seaward). For more information about Tarantulas, please contact Pete Raimondi.